Following the very sudden, unexpected and unexplained resignation of Justice Lowell Goddard as Chair of the Independent Inquiry into Child Sexual Abuse (IICSA) , I have been thinking about comments on social media which have suggested that she refused to address the Islington child abuse scandal in the Inquiry. To put the record straight, she did not refuse because neither I nor the Islington Survivors Network asked her. Neither did I apply for any of the posts advertised by the Inquiry. I was invited to a surreal, lengthy conversation with the Home Office just prior to Goddard’s appointment and I still don’t know what that was about but they did ask me a lot of questions about how I might envisage an Inquiry best working. I suggested purchasing a large, comfortably furnished house with experienced, trained professionals conducting interviews in a super-relaxed way avoiding at all costs the severity of a court environment. I didn’t hear any more from them. Now the IICSA hearings have begun in the Royal Courts of Justice with row upon row of lawyers representing the many faces of the establishment. Meanwhile, some survivors only have pro-bono legal representation as they await decisions about whether they are to be awarded core participant status and funding to assist in their presentation of evidence. In 2014, I wrote about the need for an Inquiry into Organised Child Abuse , citing the need to re-examine various child murders and to search for missing dossiers of evidence, but over 25 years I have mainly promoted the need for a national police led multi-agency child protection investigation team. Abusers are well organised nationally and internationally – but protectors have difficulty co-ordinating an investigation effectively when crimes are committed across local, national or international borders. Operation Hydrant was set up in 2014 to collate and count information about numerous investigations being conducted in the UK. However, Hydrant does not have an investigative remit. I provided information about the abuse of Islington children to this team and heard nothing afterwards. I assume the information may have added to their statistics. If some police action had taken place it would not have been unreasonable for me to expect to be informed as I am a registered social worker able to work closely with police in compliance with professional standards. Also, I know for certain that they could not possibly process the complex information accurately without my involvement. In 1992, I provided evidence to Scotland Yard but had to recently re-submit it to police (although very outdated) as no trace of the originals could be found. I had also submitted a 100 page dossier of evidence through my British Association of Social Work appointed lawyer, to the Metropolitan Police, Department of Health and Islington Council – and none of these agencies can now locate it. It hasn’t helped that my lawyer’s firm mislaid my entire archive of evidence in 2003. I’ve absolutely lost count of the police Operations I have tried to work collaboratively with over the years. I’ve trained many police in the skills of investigation and interviewing and am sad that I’ve had to struggle so hard to work effectively alongside them. I would welcome the setting up of a national team of skilled police child protection investigators – making the connections across investigations and authorities is far too important to be left to journalists, politicians and campaigners like myself. There are three strands to the IICSA Inquiry – Investigations, Research and the Truth Project. I was unhappy with the Inquiry remit from the start because the focus was specific to child sexual abuse. I spoke out about the need to include physical abuse, emotional abuse and neglect. None of these forms of child abuse should be separated out as they are inter-related. For example, some Islington survivors were physically tortured and felt they would not be included in the Inquiry process. The Inquiry also conflated child sexual abuse within institutions with the failure of institutions to respond effectively to sexual abuse. These are two very distinct lines of enquiry. For those of us who lived through the Cleveland Inquiry where the terms of reference were to consider the ‘arrangements’ for agency responses to abuse, we were concerned that IICSA, with a similar remit, might avoid a focus on the identification and investigation of perpetrators and their criminal networks. Theresa May, Home Secretary, had stated it was not going to be the Inquiry’s role to look into abuse within the family, yet included in IICSA’s examination of the response of authorities was the context of all forms of child sexual abuse. This was also included in the remit of the Truth Project. Given known prevalence rates, this always was going to be an unrealistic task and very different from the Inquiry about institutional and organised abuse of children which some of us had envisaged would follow from the Savile revelations . Many aspects of child sexual abuse within families, which may not be associated with organised and institutional abuse, have been well addressed through hundreds of Serious Case Reviews and Inquiries held over the years, and this remit from the outset made the Inquiry so vast as to be unviable. I also complained that the Inquiry had made an error in the remit of the Truth Project. The Inquiry principles state that any allegation of child abuse received by the Inquiry will be referred to the Police. However, in contradiction, it was stated that within the Truth Project survivor accounts would remain anonymous and names and details would not be referred to the police without consent except where it is necessary to protect a child at risk of abuse. However, the Inquiry interviewers are not regulated professional child protection investigators. Importantly, statutory protocols require that allegations of actual or likely significant harm should lead to police and social work enquiries about implementing investigation under section 47 of the Children Act 1989. One of the main roles of such an investigation is to decide, multi-agency, whether or not current children are at risk. I am therefore unclear how the Inquiry, in the absence of a section 47 investigation, could reach a decision about whether, following a victim/survivor account, it is or is not necessary to protect a child at risk of abuse. 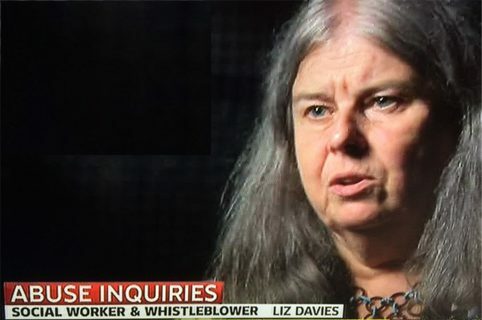 I also question the relevance of a time limited victim/survivor outpouring of an account the stated purpose of which is to investigate the failure of institutions to protect children (the interviews take up to 3 hours including counselling support before and afterwards). In contrast, survivor’s priorities for contributing to this Project might for instance include a desire to achieve justice, protect children and/or access healing and redress. There is also no route in this Truth Project for whistleblowers to provide their evidence and it is my experience that there are multitudinous and often political reasons for ‘failure’ to protect which go way beyond the blaming of individuals or authorities. Any real understanding must include whistleblower’s accounts – how else can we understand why they came up against so many brick walls or received serious threats when trying to protect children? It is said that the anonymous accounts provided to the Truth Project will add to research and inform future child protection policy and practice. In a context of all forms of sexual abuse of children there is already a vast amount of research available. In contrast, there is little justice for survivors and very few services to assist healing. The focus is entirely wrong. If I was to listen to Islington Survivors talk and talk without then following this up with action to assist them in finding a way forward, I would be substantially failing in my duty towards them. I might for instance help them consider available therapeutic services, enable access to their records, think about options for them to become witnesses to civil or criminal proceedings and campaign for their rights. I also have a responsibility to collate their accounts in order to assist the process of prosecutions or to implement disciplinary protocols and prevent abusers continuing to work with children whilst obviously respecting the survivor’s need for safety. This process typically may take some time for a survivor to feel comfortable, supported, and develop trust at their own pace to gain courage to provide a detailed account allowing for clarification by the interviewer. Chris Tuck, a survivor, writes that being able to share their experiences via the Truth Project and being believed (often for the first time), without being judged or cross-examined, will be a liberating moment for many. I do not agree with her. I do not think it is the role of the interviewer to ‘believe’ the survivor. This does not mean that I think a survivor might be lying. From years of experience, I know the importance of taking what is said extremely seriously, listening very carefully and trying to corroborate a survivor’s statement, trawling through their files and available evidence to slowly help them to put their account together in a way which might truly validate what they are saying. It is not unusual in situations of repeated abuse for times, places and details to become confused. How could it possibly be otherwise for a young severely traumatised, often drugged or even hypnotised child? Also the sharing of experiences via the Truth Project can surely only be liberating if the survivor accesses ongoing meaningful support and assistance. I doubt if a three hour slot, inclusive of counselling, can be of much help though I’m pleased of course if it has helped anyone through their pain. I think of Theresa Cooper who was abused in care and given massive doses of medication. She has campaigned for 30 years for the victims of abuse in Kendall House, some of whose children and grandchildren have physical disabilities thought to be connected to the drug regime. How could 3 hours possibly assist Theresa? She bravely wrote a book about her experiences in 2007 entitled Trust No One and still no-one listened. In July this year a Church of England Inquiry found that girls were routinely drugged, locked up in solitary confinement, kept in straightjackets and physically, emotionally and sexually abused. I think of an Islington survivor who since the 60s has been worried sick about his friend from care who disappeared and still no-one has investigated this. I think of another survivor whose body is covered with marks for which he has no medical explanation. Another remembers going to hospital regularly for tests and has no idea why or what these were for – and no records exist. Drug testing on children in care was recently exposed in Aston Hall, Derbyshire. Another survivor has a passport during his time in care containing entries of visits to countries which he has no memory of ever visiting. He thinks he was hypnotised by the abusers. I have met survivors adopted by rich people who abused them and networked them to other abusers. I have met many survivors who have told me many accounts of many experiences. They deserve just so much more than an opportunity to ‘share their experiences’ with IICSA. Chris Tuck works with survivors and knows how complex this work really is. There are no short cuts or quick fixes. So what about Islington Survivors Network applying to become contributors to an IICSA Investigation? Goddard chose to progress initially just 13 investigations and the remit is very narrow aiming to draw conclusions on institutional failings and identify practical recommendations for change. There has never been a comprehensive child protection investigation into the allegations of organised and institutional abuse in Islington. One of the key criteria for selection of a case for IICSA was that the allegations should appear to be practically capable of detailed examination through oral and written evidence. I could not see how Islington would fit this criteria because investigation would take any statutory investigative team weeks and months. IICSA stated that each hearing would last about 6 weeks. I could not imagine how Islington could be addressed in this short time or even what use it would be without a proper investigation having already taken place. It seemed to me early on in the Inquiry that organised and institutional abuse could not be appropriately addressed within the framework outlined by the Inquiry Panel. There was the added difficulty that Crown Dependencies such as Jersey were not to be included in the Inquiry and yet Islington children were sent on holiday to the Jersey home Haut de la Garenne – and this needed to be addressed. It was a similar issue when Dr Morris Fraser a child psychiatrist who worked in Belfast, who had been convicted of child abuse in the 70s needed to be considered because he lived for a while in Islington and yet Goddard emphasised that Kincora children’s home, Belfast was not to be included in her Inquiry. My only option now is to continue to take testimony from the Islington Survivors who come forward and to build up the network to find strength in numbers in the same way, as among others, Shirley Oaks Survivors in Lambeth. Raymond Stevenson, survivor, made a passionate and powerful speech in evidence to an IICSA preliminary hearing in March 2016 saying that children had been abused in Lambeth on an industrial scale for four decades. Since Goddard’s departure, campaigner and survivor Nigel O’Mara of East Midlands Survivors has said he had serious doubts about the Inquiry progressing very slowly and with a lack of urgency. This is another inspiring and well organised survivor’s network. Although I was brought up Catholic and am now agnostic, I was well indoctrinated with the principles of faith, hope and charity. I have now lost faith in the so called ‘protective’ systems and given up hoping for anything different to happen however many reports I write or interviews I attend with the authorities, journalists, politicians and anyone else who seems to be listening. Only charity is left which to my mind, in its broadest sense, means assisting individual Islington survivors to help them battle with the impact of the abuse and to gain solidarity from connecting with their siblings, friends from care and other survivors now gaining in strength across the country. We know all we need to know about child sexual abuse. We know why abuse has continued over the decades and who profits from it. We know it is a remunerative industry which continues to thrive on the suffering of children and their families. We know that it cannot continue without colluders and facilitators procuring and delivering vulnerable children into the hands of perpetrators. It was no coincidence how many Islington staff escaped abroad at the time of the Evening Standard exposé in 1992. Their actions told me that I hadn’t got it wrong. The White Inquiry Report in 1995 however said that the social worker who reported 61 child victims of a network of abuse was mistaken. That was of course me. That’s why I did not go to Goddard. There would have been little point in learning after a process taking between 5 to 10 years that there was indeed failure of the authorities in Islington to respond to all forms of abuse – including 13 flawed inquiries and derided, scapegoated whistleblowers. Many of the abusers and those who supported them are still alive and without an investigation we do not know what risk to children they present now. Survivors are organising and making many important demands but more than anything else they want to know that children now are being protected from the horrors of what they experienced as children. They are not giving up and neither am I. Justice Lowell Goddard did give up on the Inquiry and resigned – perhaps one day soon we will learn the Truth about why she left in such haste.